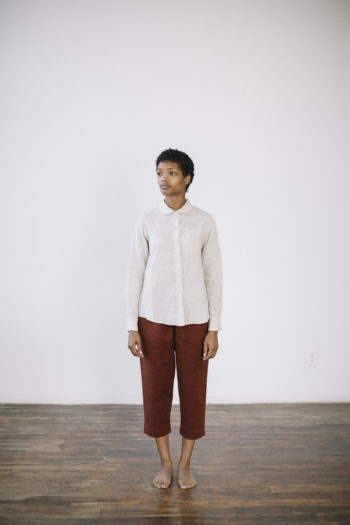 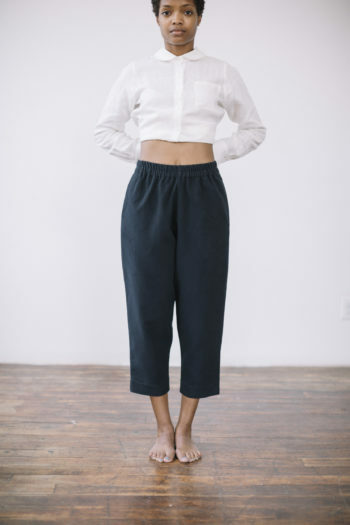 The essential, every day, dress-up/dress down pant. 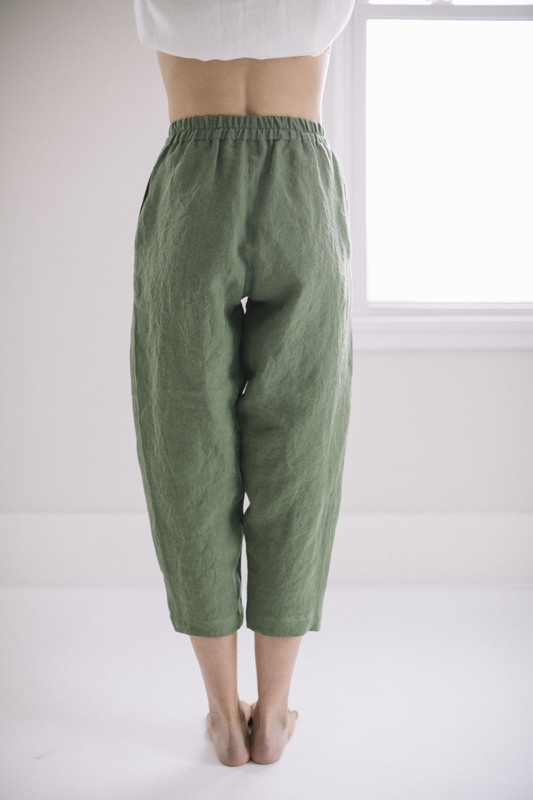 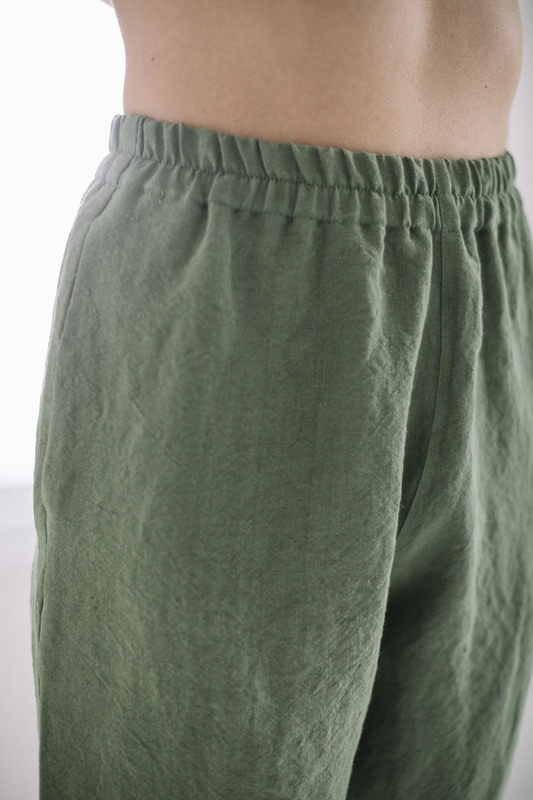 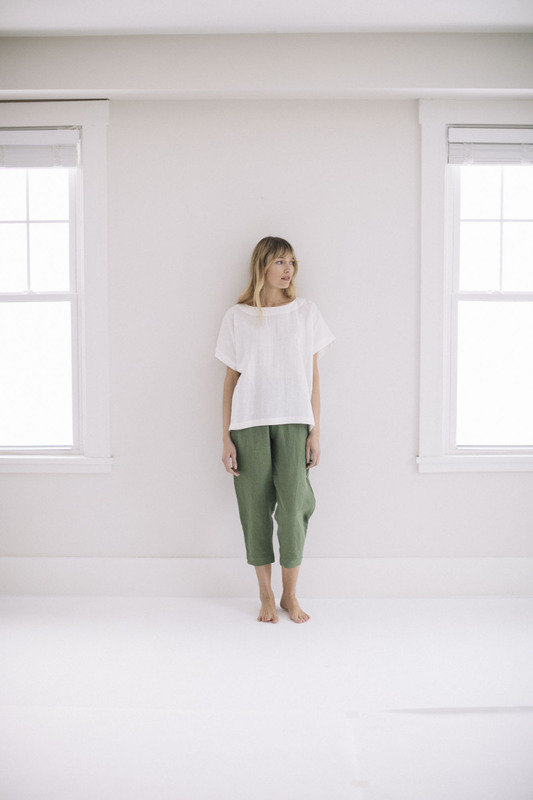 Loose fit with elastic waistband and side seam pockets in Olive green washed Irish linen. 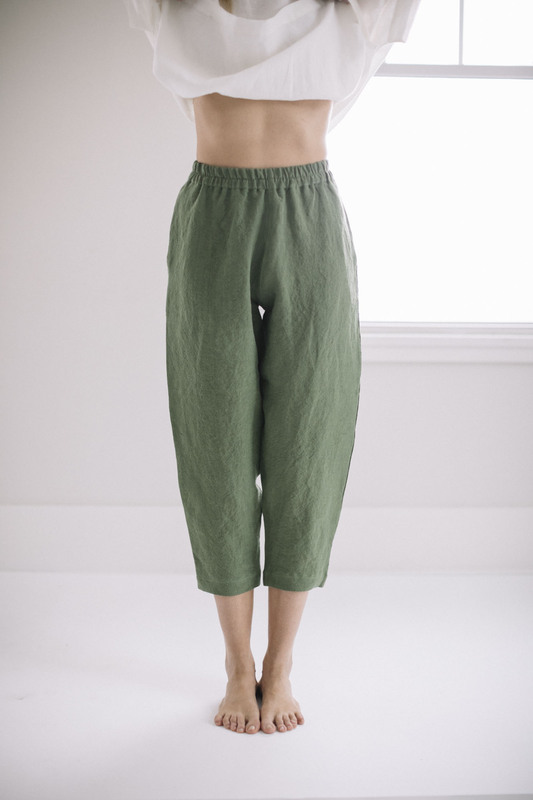 Available in sizes S, M, L. If your size is not available, this item may be ordered – please allow 4-6 weeks for pre-orders.